Are you willing to go down without a fight? Because it could be happening. Your marriage, your family, and your heart are in the battle zone. It’s time to man up—for God. Help the men in your church uncover who they really are – men created in the image of God with a warrior’s heart. 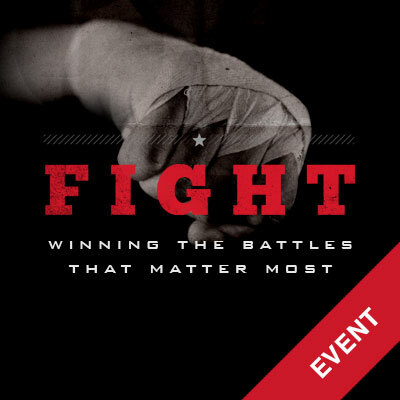 Equip the men of your church to fight the battles that matter most; the ones that determine the state of their hearts, the quality of their marriages, and the spiritual future of their families. Fight.